Used in India for over 5,000 years, Neem is a healing herb in Ayurvedic medicine with many uses for health, beauty, pets and around the home. Unfortunately, most people know nothing about neem oil benefits beyond its use in the garden. So, what is neem oil, and how can it benefit you? 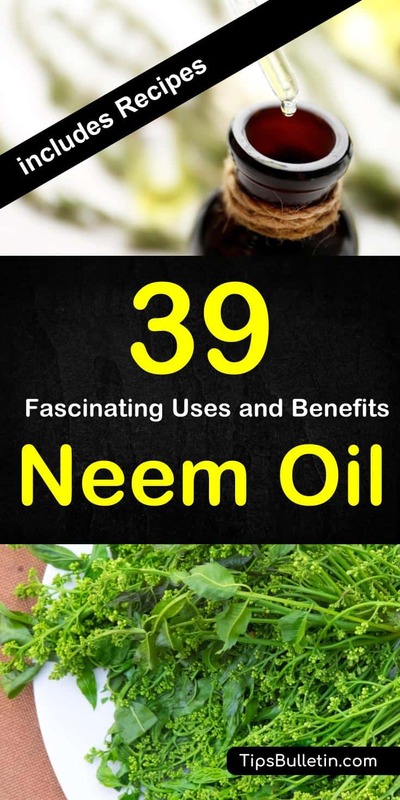 I’ll give you a good overview of the many benefits of neem oil for your health, your pets, and uses for around the house and garden. 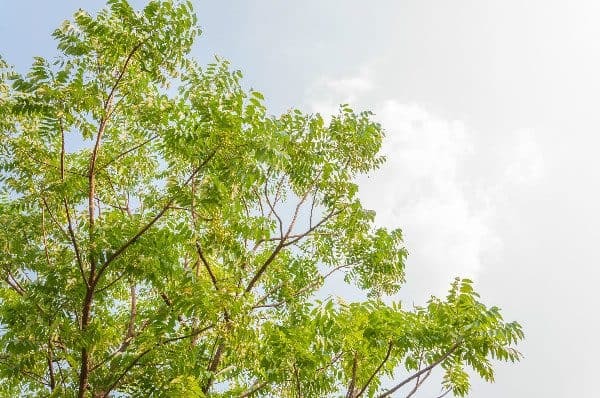 I hope you’ll read on to learn more about this amazing tree and the many neem oil benefits for you and your family. I’ll also give you recipes and tips for using neem oil. Neem oil compounds reduce redness and inflammation. Fatty acids in neem oil prevent the formation of comedones that plug pores and cause acne outbreaks. Neem oil reduces scar formation. The active ingredients in neem oil not only reduce inflammation, and they also promote healing. Fatty acids in neem oil build collagen and maintain the elasticity of the skin. Neem oil helps speed healing and reduces scarring. The antimicrobial and antifungal properties help keep the skin healthy during the healing process. The high levels of carotenoids and other antioxidants found in neem oil protect the skin from the damaging effects of free radicals, sun damage, and environmental damage. The essential fatty acids and vitamins in neem oil improves elasticity and build collagen, reducing wrinkles and fine lines, rejuvenating the skin, and improving the skin tone. Neem oil reduces the production of melanin in the skin. Melanin is the skin pigmentation agent that causes dark spots. An overall reduction in melanin leads to lighter skin and a more even complexion. Neem oil is a component of many commercial dandruff shampoos. It moisturizes the scalp, kills harmful microbes, and reduces itching and flakes naturally. Neem oil contains beneficial fatty acids that moisturize and nourish the scalp and hair, leaving it with a healthy shine. It restores moisture and repairs damaged hair. The hair and scalp have a naturally acidic pH, but environmental issues and hair care products can affect the pH and potentially damage the hair. The hair and scalp pH needs a balance of an approximate pH of 5 to remain healthy. Neem oil contains nimbidin, a potent anti-inflammatory compound that reduces redness and inflammation and soothes irritated skin. It also moisturizes, conditions, and protects the scalp. When used on a regular basis, neem oil regulates the oil secretion in the scalp for a healthier scalp and strong hair. Healthy hair grows stronger and thicker. It also strengthens the hair roots and revitalizes damaged hair. 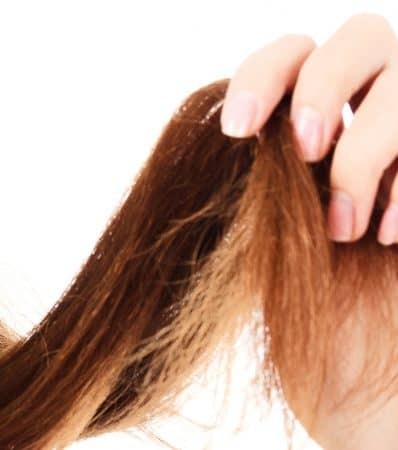 Rough or frizzy hair is a result of damage to the hair cuticle. The hair appears dry and untameable. Neem oil conditions the hair and repairs the cuticle damage, allowing hair to become smooth and manageable. Azadirachtin, found in neem oil, is deadly to lice and nits. Additionally, the odor of neem oil repels lice, preventing an infestation if used regularly. Follow our method in the recipe section to safely and efficiently eliminate head lice. Neem oil repairs damaged hair cuticle making it smoother and more manageable. Also, it smooths and repairs damaged split ends and tames the frizzies. Neem oil has been used effectively for thousands of years for oral care, and now a few small studies are providing evidence of the efficacy of neem oil for the teeth and gums. The antimicrobial properties of neem oil make it an effective preventative for gingivitis and gum disease. Its anti-inflammatory properties boost the immune system. Neem oil also kills the bacteria that cause cavities. Neem oil toothpaste is popular in many countries and is becoming available worldwide. Regular use contributes to healthy teeth and gums. Bacteria adhere to the teeth, causing plaque and calculus. By preventing the adhesion and killing bacteria, regular neem oil use results in a healthier mouth. The many phytochemicals found in neem oil help eliminate harmful free radicals and kill bacteria, viruses, and fungus. They help keep the body healthy and boost the immune system. Neem oil kills the bacteria that cause decay and bad breath. Regular use of neem oil dental care products produce a sweet breath and better dental health. Neem tree extracts are rich in beneficial limonin, azadirachtin, kaempferol, vitamin C and beta-carotene. These beneficial phytochemicals enhance the immune system, combat inflammation, and interfere with the development of cancer cells. A recent Journal of Ethnopharmacology study showed that an ethanolic extract of neem caused cell death in prostate cancer cells and could be an effective prostate cancer treatment. More human trials are needed, but ongoing studies also show neem extracts to be effective in suppressing the growth of leukemia and melanoma cell lines, as well as causing the death of the cancerous cells (..). Neem leaves and bark contain antiviral substances that eliminate viruses and prevent them from entering the cells. 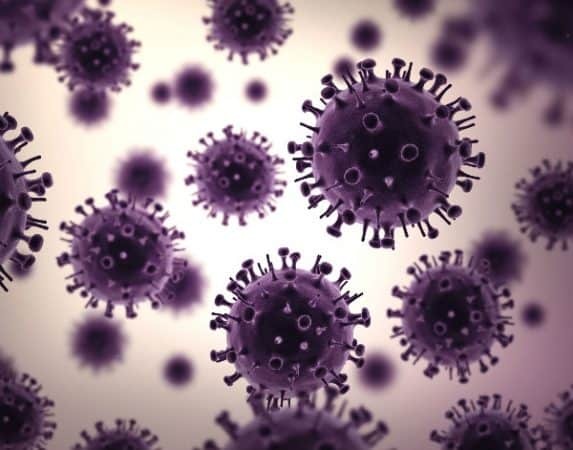 It’s toxic to the herpes virus and prevents outbreaks and accelerates healing. Use neem oil or a paste made from neem leaves in affected areas (..). Neem oil kills the viruses and prevents them from spreading, reducing the severity and helping the patient heal quickly. It also is effective at calming the irritation and soothing the itchy skin caused by these diseases. In addition to its antibacterial and antifungal properties, Neem oil is rich in antioxidants and vitamins which support the immune system. Antioxidants neutralize free radicals that damage cells, leading to premature aging and disease. Neem oil boosts the immune system and helps relieve nagging illnesses. It helps filter out toxins from the body and keeps the liver healthy. Neem oil also treats jaundice. Neem oil has a long history of use in Ayurvedic medicine. In addition to the benefits mentioned above, it has also been used to treat fever, leprosy, malaria, tuberculosis, and as a contraceptive. It’s used topically, orally, and vaginally. Neem oil repels ticks and fleas on pets. Add neem oil to your pet shampoo and spray their bedding with diluted neem oil. Neem oil is beneficial for pet skin ailments such as ringworm, hot spots, mange, and scabies. It soothes the skin and reduces inflammation while treating the underlying disease. Neem oil kills bacteria, fungus, and viruses on pet wounds, bedding, and other surfaces. Neem oil helps relieve inflammation and promotes wound healing (..). Neem oil repels a wide variety of house and garden bugs including nematodes, caterpillars, beetles, and mites. It works well as a homemade roach killer and is safe for use around children and pets. In the house, use neem oil to get rid of ants, roaches and termite infestations. Mix one part neem oil with nine parts lamp oil and burn as per usual. The neem oil odor repels mosquitos. Neem oil contains sallanin and azadirachtin, which control mosquitos and kill both the adult and juvenile stages of mosquitoes. Water your lawn and garden first to prevent neem oil from burning foliage or use immediately after rain. Dilute neem oil with water and use as a safe lawn spray to deter mosquitos. Add neem oil to your carpet shampoo to clean the carpet and kill mites, bacteria, and fungus at the same time. Mix 1 tablespoon of neem oil into 1 cup of water and place in a spray bottle. Spray your mattress to kill mites and microbes that have made their home there. Allow to dry, then flip the mattress and spray the reverse side. 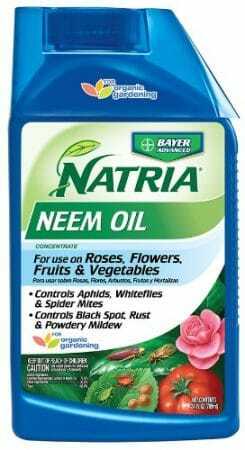 Use neem oil foliage spray to prevent powdery mildew, rusts, root rot, black spot and sooty mold. Apply a 1% solution of neem oil to plant foliage. Use neem oil as a soil drench to get rid of bugs. The plant absorbs the neem oil and kills or interrupts the life cycle of pests that feed on it. A Neem oil foliage spray repels spider mites, aphids, mealybugs, sting bugs, scale, whiteflies, snails, mosquitoes, leafminers, locusts, cabbage worms, gnats, Japanese beetle, cockroaches, moths, flies, termites, and over 200 other species of garden pests. Neem oil comes from the seeds and fruits of the Azadirachta indica tree. The color varies from golden yellow, yellow-brown, bright red, reddish-brown, greenish-brown, to dark brown. It has an unpleasant odor and a bitter taste. The beneficial agents in neem oil are triglycerides, triterpenoid compounds, antioxidants, vitamin C, beta-carotene, and several sterols. Azadirachtin and Nimbin are the best-known triterpenoid compounds in neem oil and give it many of its beneficial properties. The oil is cold pressed from seeds or removed through a controlled warm-press process. A solvent extraction yields the same result. If you’re purchasing oil for use on humans or pets, pressed oil is best, since you want to avoid solvent residues. Neem oil is available in essential oil form through health stores and Amazon fairly inexpensively. It’s also available in garden and home improvement stores formulated for garden use. 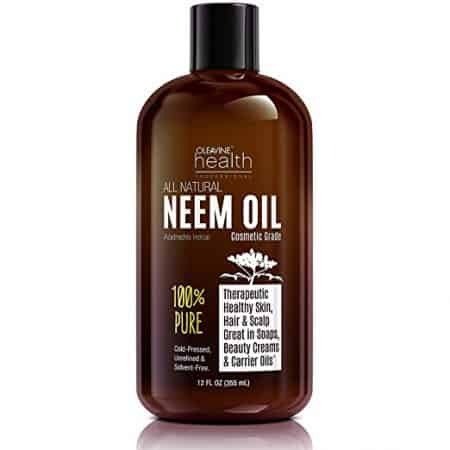 Additionally, there are a large variety of products containing neem oil available on the market such as neem oil soap, toothpaste, mouthwash, neem oil hair products, lotions and skin care products. It’s hard to know what concentration of neem oil each product has, so look for recommendations or try a few until you find the ones that work for you. Mix one part neem oil with five parts petroleum jelly. Mix neem oil with a carrier oil, such as coconut oil or olive oil. Alternately, mix 1 ml of neem oil into 100 ml of your favorite lotion. Apply to a small area of skin first to test for irritation. If you don’t experience any irritation, it’s safe to apply the diluted neem oil to the skin. Increase the amount of neem oil gradually, as needed, until you get the desired results. Mix one part neem oil with ten parts carrier oil such as olive oil, coconut oil, or almond oil. Heat the oil to a comfortable temperature, not hot. Massage the warm oil into sore muscles and joints. Dilute neem oil with olive oil, peppermint oil, almond oil or coconut oil. Add a pleasant essential oil to cover the odor of neem oil, if desired. Massage the oil into the scalp and cover the head with an old scarf. Leave on overnight. Add three or four drops of neem oil to your shampoo. Shampoo hair, as usual, allowing the shampoo to stay on the hair for several minutes. The neem oil will moisturize the hair and leave it shiny and healthy. Add a small amount of pure neem oil to your shampoo, then wash the hair. Work the neem oil and shampoo into the hair and leave it on for at least 10 minutes. Rinse the hair, towel dry and comb the hair. Apply full-strength neem oil to the hair and comb it through with a lice nit comb. Remove lice or nits as you find them and place them in a bag for disposal. Cover with a disposable shower cap or wrap with plastic wrap and leave on overnight. Comb the hair again before washing out the oil. Repeat the process daily until all lice and nits are gone. Before spraying test a small area on the plant with diluted neem oil and wait 24 hours. If the plant shows no damage, continue with spraying. Apply neem oil in the evening to healthy plants that show no signs of stress, drought, or overwatering. Mix neem oil with warm water and a few drops of environmentally friendly dish detergent to emulsify the oil. Place the solution in a spray bottle and use immediately, as it loses its effectiveness over time. Spray both sides of the leaves to coat the plant with the neem oil solution. 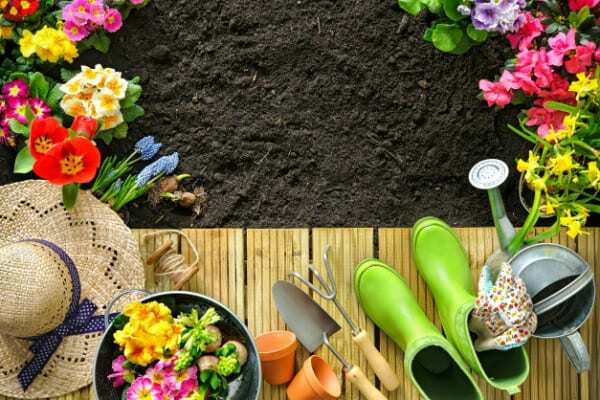 When watering, apply water at soil level so that you don’t wash the oil off. Repeat applications weekly and after a heavy rain throughout the season. Neem oil is considered safe for humans and pets in most situations, but it’s always wise to start with small amounts. Do not give it to infants or children. Neem oil products should not be used by pregnant women or those trying to conceive, as it can act as an abortifacient. Additionally, some people have reported fatigue when taking neem. In strong concentrations, neem oil can be an irritant. Most of the uses of neem oil specify diluted oil for this reason. A few people might be allergic to neem oil. For internal use, most people use neem leaves or drink neem tea. Neem oil is also safe for earthworms, ladybugs, and other beneficial insects. There is some concern about its use around bees, so avoid using it when bees are present. The residue will not harm bees, but avoid spraying it directly on them. Neem oil is one of the most versatile healing herbs available, yet many people have no idea how to use it for health and beauty. 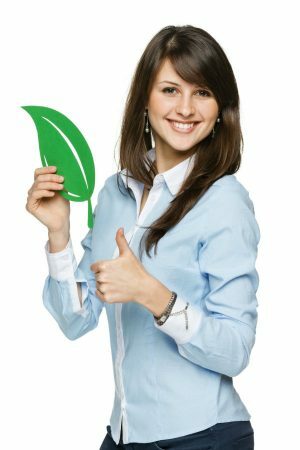 I hope this article has enlightened you about how useful neem oil is and why it belongs in every home. Keep it in your health and beauty cabinet for its many healing properties and in your household remedies cupboard for its ability to kill and repel insects, especially fleas and ticks. Did I miss anything? 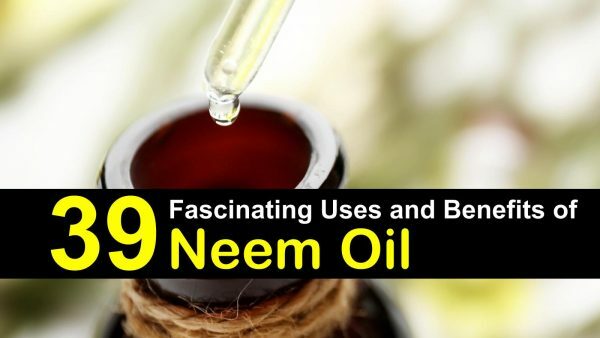 Perhaps you know of other neem oil uses or benefits that I missed. Let me know, and use the buttons below to share on Facebook, Pinterest, and Twitter so that everyone will learn more about this amazing herb!